Breakaway Training offers customized training programs for your next athletic endeavor. These programs are built around your goals and needs as an athlete, as well as your schedule. The program allows for you to maximize your training by providing workouts designed for you and unlimited contact with your coach. 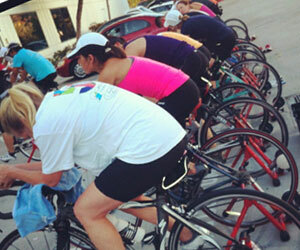 Breakaway Training provides group workouts 3 times a week. Athletes have the opportunity to push themselves and their peers past their limits in our coached Turbo Cycling class, Track Workout, and various other workouts such as trail runs, time trials, brick workouts, and ocean swims. Breakaway Training coaches are available for one on one coaching and personal training sessions. 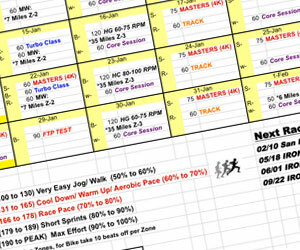 These sessions can address functional strength, or specific sport related training for swimming, cycling, or running. Your individual needs are targeted in each session by specific exercises and drills.